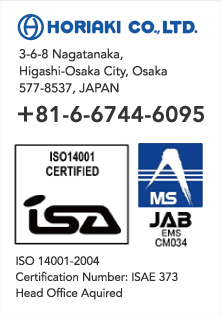 Company Profile | HORIAKI CO.,LTD. Sumitomo Mitsui Banking Corporation - Tsuruhashi Br. MUFG Bank,Ltd. - Higashi-Osaka Chuo Br. Mizuho Bank, Ltd. - Funabashi Br. The Hyakujushi Bank, Ltd. - Higashi-Osaka Chuo Br. The Shoko Chukin Bank, Ltd. - Higashi-Osaka Chuo Br. The main business of Horiaki is the plan, development, manufacture, import and sale of packaging materials and devices, industrial/ agricultural/ fishery materials and gift wrapping materials. Packaging Material Industry, Agricultural Material Industry, Fishery Material Industry, Horticulture Material Industry, Construction Material Industry, Food Processing Manufacturers, Confectionery Manufacturers, DIY stores, Supermarkets, etc. The first president AKIRA HORI founded "HORIAKIRA SHOTEN" in OSAKA to start rubber band business. Established "HORIAKIRA SHOTEN Co., Ltd." as an incorporated company with a capital of 1 milion yen. Changed name to "HORIAKI Co., Ltd." with an increased capital of 10 million yen. Moved Head office and OSAKA sales office to HIGASHIOSAKA-City. 1989 Established KYOTO sales office. Increased the capital up to 50 million yen. The second head， TAKASHI HORI， took the position of president of the company. 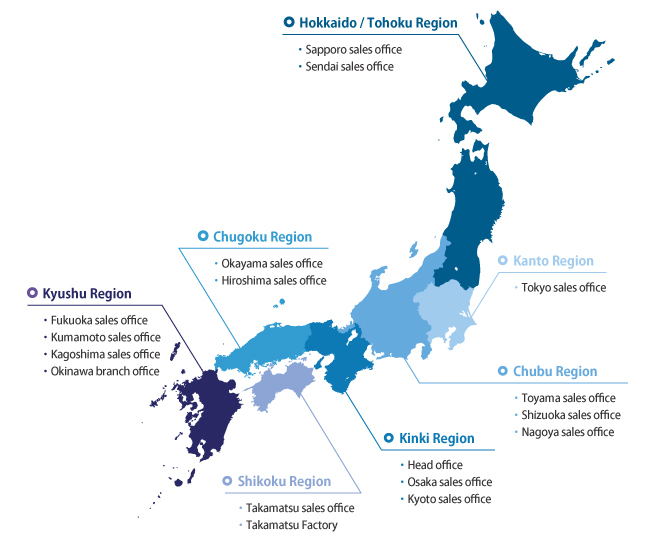 Moved TOKYO sales office to UENO(TAITO-KU) in TOKYO as a main sales office. Started the production of plastic bags at TAKAMATSU factory for domestic market. Copyright © 2004 - 2014 HORIAKI CO., LTD. All Rights Reserved.